Niseko is now a globally recognised destination, synonymous with powder snow and brought into the spotlight by the local skiers and riders that have committed their lives to the pursuit of perfection – perfection in the snow they ride and the way they ride it. 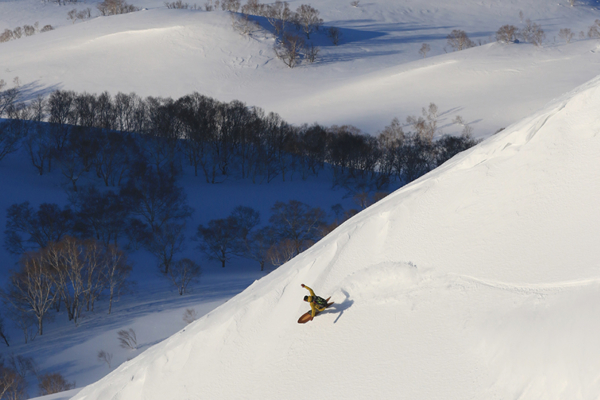 The unique qualities of Niseko’s snow and terrain have shaped their riding as much as their riding is influencing global snowsurf style. 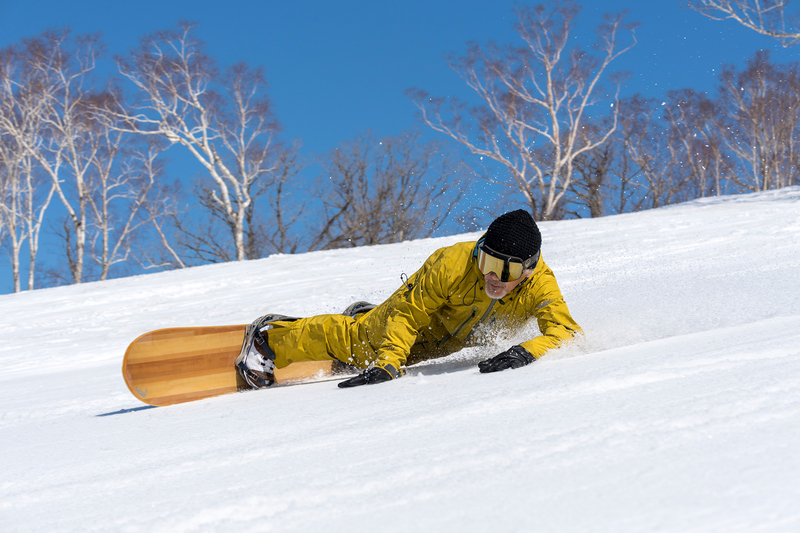 Local board maker Gentemstick’s riders are widely respected as pioneers of powder riding, and the company’s Niseko-born shapes have been the catalyst for a myriad of brands across the globe aiming to replicate what locals here have been crafting decades. “The Japanese word ‘shokunin’ describes the pursuit of perfection to one’s craft over a lifetime. 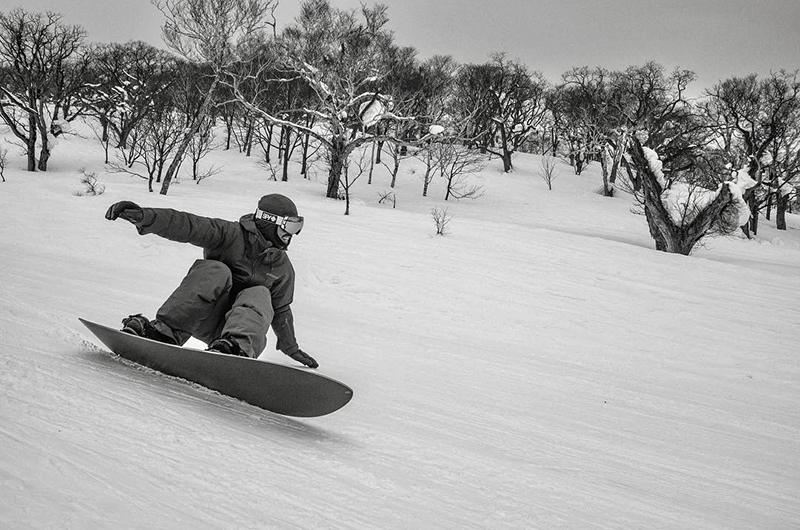 This has underpinned and helps shape snowsurf style, snowboard design and culture in Niseko. Riding powder through the peaceful shirakaba (silver birch) forests of Niseko has a sister, and she lives on the piste. With wide-open groomed slopes and rarely many people congesting them, carving has found its home beneath the gondola in Annupuri. On a perfect spring morning as you ride the gondola to the top for another assault on a side bowl’s untracked trees, you are likely to see a carving crew tearing the groomers apart in harmonious synchronicity. Here there’s no yearning for powder – these riders are seeking to link perfect parabolic curves and find their boards’ ultimate turn radius, linking heel-side and toe-side carves seamlessly, sometimes chests feathering the surface of the corduroy as they autograph the piste with their signature styles. 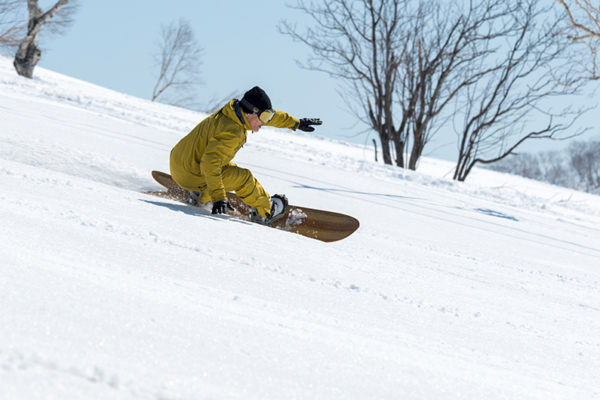 Among the carving clan is Hideki Takeda, one of Hokkaido’s first snowboarders and a master board tuner who is so in sync with his craft that he almost feels the spirit of the boards he is working on. Takeda-san has an ultra-calm demeanour, a modesty disturbed when asked to talk about his lifelong dedication to riding snow and finding the perfect turn, tune, board, snow or combination of all elements which has led him to this point as a carve master. For him, this is just the natural progression of things. He sees himself as nothing more than simply a local who loves riding. 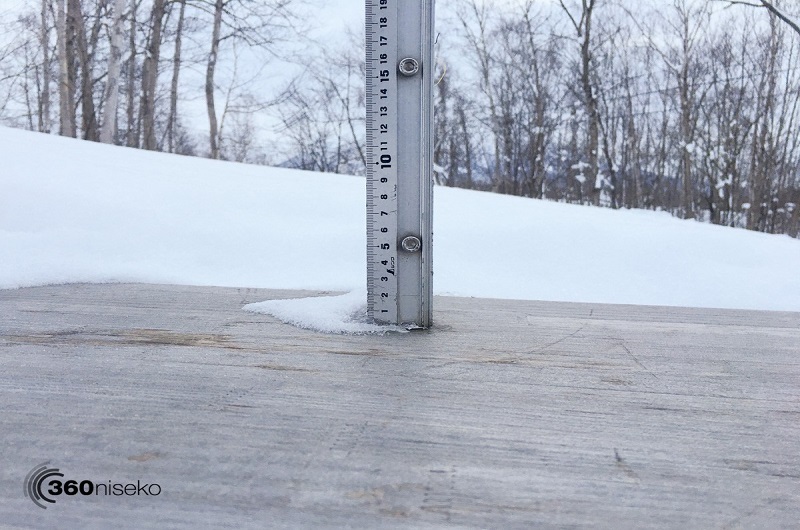 It is this humility and passionate drive that gives carving its authenticity, and it’s this authenticity that has always defined Niseko and the people that call these mountains home. Carving has taken the traditional powder board to the piste. These riders have developed a variation on snowsurf style which sees balance and control applied to these unique boards, each with their individual turn radius and characteristics. Takeda-san’s understanding of tuning, board manufacture and riding is profound and it’s fascinating to discuss all things board design and technique on the gondola between runs. His passion is captivating. 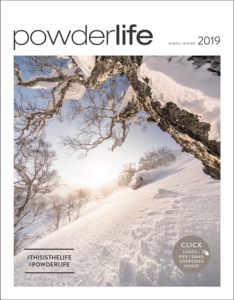 It’s this passion that continues to revolutionise snowboard riding in Niseko, and this small crew of purists continues to influence the world as they share their love of the mountains, riding and the pursuit of the perfect turn.